Mexico’s Sierra Gorda Biosphere Reserve is home to a stunning range of flowers, some of which are found in few other places on earth. 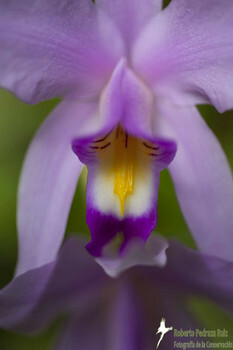 The beautiful Laelia anceps, for example, is a species of orchid that only grows in the wild in Mexico and Guatemala. World Land Trust (WLT) has supported conservation efforts to protect Mexico’s Sierra Gorda since 2007, and the Trust is in the process of acquiring land with exceptional botanical value that will extend the Cerro de la Luz-Cerro Prieto reserve. Purchasing areas of privately owned land within the biosphere reserve is a painstaking process. With additional funds, WLT can do much more to protect precious landscapes and threatened species. By making a Mother’s Day gift donation to World Land Trust’s Buy an Acre Appeal (Mexico), you will help protect some of the planet’s rarest and most exquisite flowers. What’s in a Gift Pack?